Legasista, which Cladun is similar to in many respects, was one of the first games I ever reviewed. It’s near and dear to my heart and it was the first time I played something so vastly different from NIS. 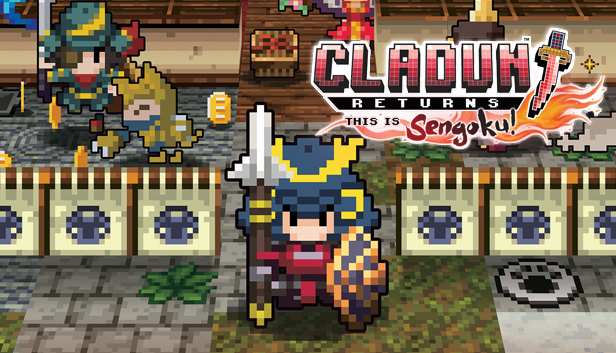 Today, the latest release in the Cladun series is available! The cool thing this time around is a brand new story set in the Sengoku Era. You’re tasked with helping the souls of the dead complete their unfinished business across locations based on real life places in feudal Japan. Cladun in general is a game that allows you to not only draw your own characters into the game using pixel art. Overall you’ll go through dungeons in a Mystery Dungeon sort of roguelike setting and level up. If you’re an NIS nerd like me, that’s all you really need right there. Otherwise there’s a whole system set up to help protect your character with additional party members that is quite unique too. Check out the launch trailer below!